BBC NEWS | UK | Was drug dealer an MI5 agent? Was drug dealer an MI5 agent? A six-year legal saga has ended with the conviction of two men accused of conspiracy to supply heroin. But the question remains - did the British government allow a major drug smuggler to go free because he was an agent of MI5 and Turkish military intelligence? 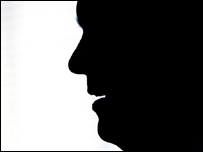 One man's name kept cropping up during the numerous trials following Operation Seward, a £7m heroin sting in July 2002. But who is he and why has he not been brought to justice? 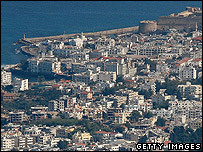 The jury at the Old Bailey trial which ended this week was told Kurt lived in luxury in Turkish-occupied northern Cyprus. This has become a haven for fugitives from British justice, because of extradition difficulties due to its unresolved political status. The court was told that, in theory, Kurt would be arrested if he set foot back in Britain. 27 Jul 2002 - David Powell and two other men arrested on M26 near Wrotham, Kent with 70 kilograms of heroin in holdalls. 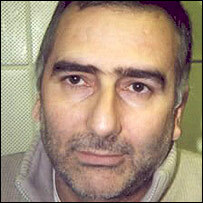 Sep 2002 - Ayhan Kurt leaves Britain, after having his passport returned. Dec 2004 - John Rae and another man convicted at second trial. Jan 2007 - Court of Appeal quashes all convictions. Jan 2008 - Recep Yilmaz and several others plead guilty and are jailed. But what they did not know was that Kurt had escaped justice because the authorities granted him bail and gave him his passport back in August 2002, a month after 70 kilos of heroin were seized in a lay-by in Kent after a meeting which he had set up. No attempt was made to arrest Kurt until November 2002 and by then he had moved out of his £1m home in Enfield, north London, and moved to Cyprus. It has also emerged that between 1998 and 2002 - when Kurt was allegedly working for the authorities - the Crown Prosecution Service twice dropped charges of conspiracy to supply heroin. In September 1998 he also avoided prosecution and had his visa renewed despite being connected to 20 kilos of heroin concealed in a car. Legal documents which the BBC has seen suggest Kurt, 48, was an agent for the MI5 and Turkey 's intelligence service, MIT. An interpreter who acted for Mr Kurt during court proceedings gave a statement in which he said "Kurt had admitted he worked for MI5 in 1998". On Monday two British men, David Powell and John Rae, were convicted of conspiracy to supply heroin. Powell was sentenced to 17 years and Rae 11 years and six months in prison after the trial at the Old Bailey. Rae, a lorry driver from Lincoln, believes the Turk "set up" a number of people in order to ingratiate himself with the British authorities and clarify his immigration status. Powell, who lives near Maidstone, Kent, admitted in court he was a professional bootlegger who smuggled alcohol and cigarettes. Rae also admitted he had been smuggling cigarettes but both men say they were duped by Kurt, who they believe replaced the cigarettes with heroin. Rae and Powell's trial brings to an end a legal marathon. Last year the Court of Appeal quashed the original convictions after it was revealed the prosecution had failed to disclose vital information about Kurt and another Turkish drug smuggler and associate, Abdullah Baybasin, who was jailed for 22 years in 2006 in an unconnected heroin case. But the questions remain - Why did Kurt escape justice, and were strings pulled behind the scenes to protect him? The Home Office said it could not comment on the work of the security services and would not confirm or deny whether Kurt was an MI5 agent. Throughout the legal proceedings the prosecution was forced to disclose more and more about Kurt and Baybasin. In November 1997 police had information that he was actively involved in the importation of heroin. He was described in intelligence reports as an "experienced operator". In January 1998 police mounted a surveillance operation on a London hotel room which contained seven kilos of heroin. Kurt was arrested in the room. He was carrying £143,000 in cash. Charges were later dropped. Police intelligence suggested that on 2002 Kurt and his partner, Recep Yilmaz, were importing 200-300 kilos of heroin a month, using a London car showroom as a front. Police also believed that in 2004 (after he fled Britain) was still smuggling 80 kilos a month into Britain, using a new distributor. It was allegedly common knowledge in northern Cyprus that Kurt was a multi-millionaire "mafia boss" who owned hotels, a bar, a football club and a large yacht. In 2007 Kurt "suffered a financial loss as a result of a massive seizure of heroin in Turkey". In late 2007 he acquired a private plane to enable him to fly between northern Cyprus and Turkey, where he owns hotels and properties in the resort of Bodrum. A Crown Prosecution Service spokesman said that in 1998 Kurt was charged with possession of heroin with intent to supply, and possession of cocaine. "The heroin charge was discharged when he purported to name an informant in a case," he said. But he was convicted of possession of crack cocaine. In 2002 he was arrested for possession of heroin but was not charged due to "insufficient evidence".